Lest from the truth I part. To give my spirit wings. This entry was posted in Christianity, Dreams, Imagination, Love, Poetry and tagged bell, cathedral, chimes, church bell, Croatia, home, meditations, music, photography, poetry, Spirit, syllabic poem, travel. 🙂 Thanks, friend. Glad you liked it! I like the title, very clever. And the scanned photo – Europe? Where? 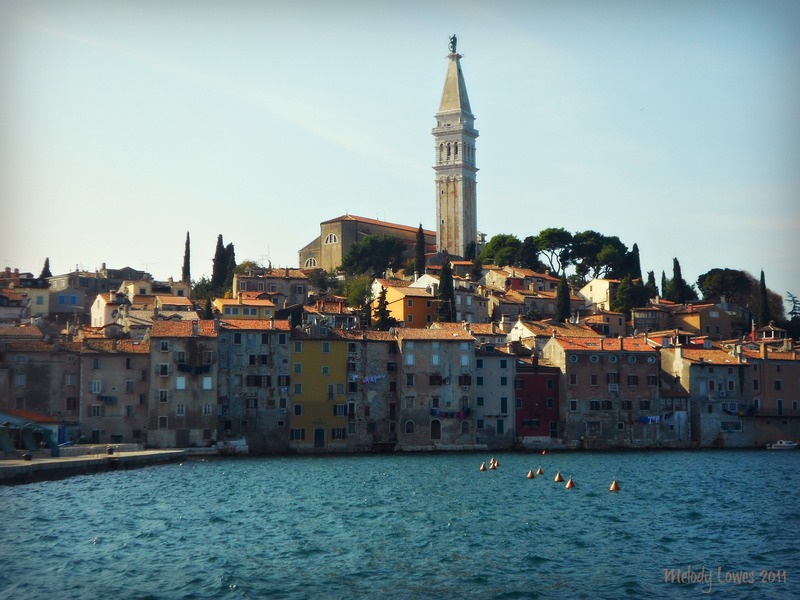 Rovinj, Croatia – It’s been so cold I can’t even get out and take photos lately, so I’m going through older ones. This one is from my one and only trip to Europe with my sister several years ago – I LOVED it! Thanks Eric for thinking of me. I appreciate that! I don’t ‘do’ awards anymore but I sincerely thank you for your visits and support and friendship. Very beautiful…winged spirit, I like that! I have my moments 😉 .